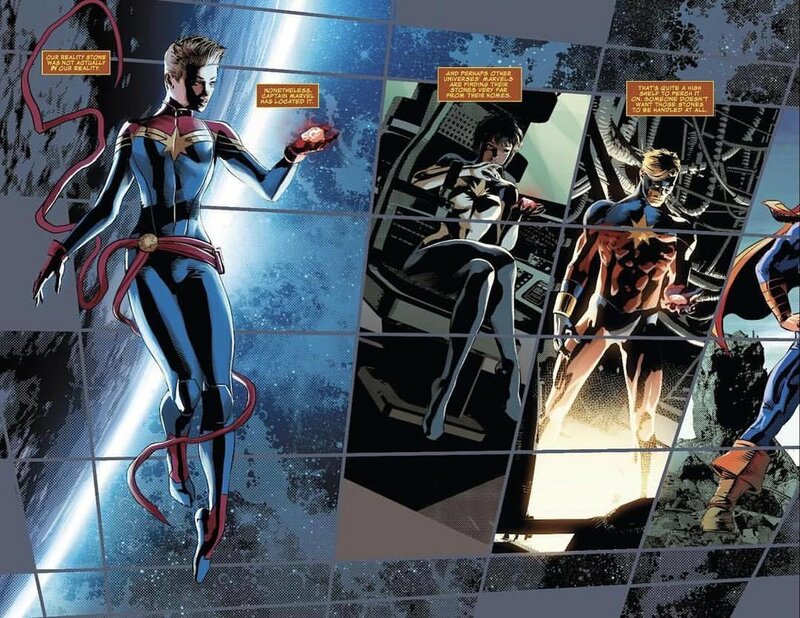 Weaving together threads from multiple series, Gerry Duggan sets the stage for the Infinity Countdown event with Infinity Countdown Prime, a prologue that catches readers up to speed on the search for the Infinity Stones, reimagined for a post-Secret Wars Marvel Universe. Joined by superstar Mike Deodato Jr. and colorist Frank Martin for this prologue, Duggan continues building a cosmic story that, while fully informed by Marvel’s cosmic history, goes out of its way to subvert expectations, bringing some unexpected twists. While a bit shackled by the constraints of the issue’s goals, Duggan is still able to create an engaging, if disjointed, chapter that is building to a different sort of “Infinity” event. As more and more factions in the Marvel Universe become aware of the existence of these new Infinity Stones, the bearers of the six former-gems stand revealed. Some won’t be a shock, like recently-deceased Wolverine, in possession of the Space Stone. Some, while perhaps unexpected in story terms, fit nicely within the legacy of the cosmic stories of both Jim Starlin and the writing team of Dan Abnett and Andy Lanning, like the classic Infinity Gauntlet or the modern classic Annihilation Conquest. And some others come so out of left field, readers may be left scratching their heads wondering where Duggan could possibly be going it, but, in total, it makes for a broad and varying story that touches just about every corner of the Marvel Universe. That said, outside of introducing all the Stone bearers and Stone seekers, the issue is pretty thin. The Guardians of the Galaxy, who have been in the center of this story from the beginning, get only a single page appearance. Many of these characters linked to the quest for the Stones are appearing in the story for the first time, or making their first appearance in any comic in a while, or are so relatively minor that it’s stunning to see them thrust so close to such a major story. By jumping from character to character and plot thread to plot thread so fast, it may leave readers with a bit of whiplash, as the Guardians aren’t the only ones who only appear for a page. Two of the biggest characters in the Infinity Gem/Stone mythos also get the same treatment, just getting a quick check in. It makes the issue feel relatively insubstantial, not exactly what you want for your big event kick off. That’s not to say, however, that Duggan isn’t able to make this feel cohesive; on the contrary, most of the pieces fit nicely into Duggan’s build, dropping in as if they fit there from the beginning. It really shows immaculate planning when, in a single page, the entire reason a character was brought into the story becomes crystal clear. Duggan has really stepped up with this story, demonstrating an unabashed love for this corner of Marvel while knowing how to push his tale off of any well-worn paths. Deodato, of course, delivers as always, with exciting layouts and bombastic superhero visuals. The fight with Wolverine and the Ultron minions in the beginning looks fantastic, and it’s great to see an artist embrace Logan’s classic proportions like Deodato does here. The only problem, really, is how incongruous his style is with the other artists who’ve been working on the story so far. With Aaron Kuder drawing the main series and most of the previous volume of Guardians of the Galaxy, and the previous Infinity Countdown issue drawn by Mike Allred, Deodato is like oil to their water. Kuder and Allred don’t have a ton of overlap in their approaches, but neither of them are even close to the hyper-rendered, moody art of Mike Deodato. It’s hard to imagine this will read well in a collected edition. Frank Martin, for his part, brings a lot of vibrancy and bold color choices, but nothing he could do would make the art line up with the more cartoon-y and stylized approaches of both Kuder and Allred. 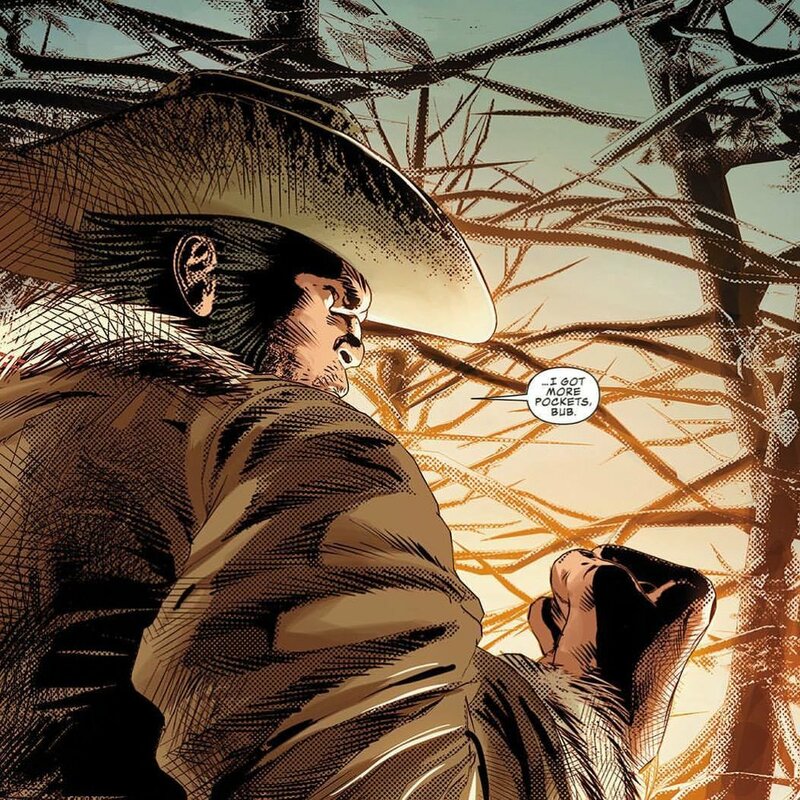 Perhaps the thought was that Deodato’s art lines up more with Esad Ribic, who did the Legacy one-shot that brought back Wolverine with the Space Stone, which makes more sense, but it just doesn’t jibe with the artists working on the book now. All in all, Infinity Countdown Prime does a solid job of catching readers up on the various threads, setting up a number of players that will certainly lead to some surprising and fun interactions. While it’s not perfect, Duggan has really stepped up with this series, and this issue is a testament to that. It’s just a shame that editorial couldn’t manage to keep a more consistent tone with the art.